In 1916, bestselling novelist Ellis Parker Butler learned of the death of a young author that had left the author’s wife and two small children impoverished and in danger of losing their resident farm. Reminded of how easily anyone in this precarious profession can hit hard times, he decided to take action. As secretary and treasurer of the Authors League of America—predecessor to the Authors Guild—Butler firmly believed that writers could accomplish much by working together. He quickly composed and circulated an appeal to members of the League. Butler’s instincts were right: that first appeal struck a chord with writers. Most of those who responded gave from $1 to $5, but the donations poured in, raising almost $2,000 in aid—the equivalent of more than $40,000 today. The farm was saved, literally, and Butler and his colleagues began reviewing applications for assistance from other writers in financial distress. They also had charter papers drawn up, establishing the Authors League Fund in March 1917. Since then, the Fund has helped thousands of writers, with millions of dollars in assistance. The donations we receive each year affirm Butler’s initial hunch that writers would be willing to create and sustain their own support system. The publishing industry is always evolving, and relying on income from writing has become no less risky. Our mission remains: to provide a safety net—and a sense of community—to writers enduring financial hardship. We celebrated our centennial on September 12, 2017, at the New York Public Library. Read about the event here. The Fund is proud to have accepted major donations from James A. Michener, the poet Kenneth Patchen, Suzanne Collins, The Haven Foundation, Amazon Literary Partnership, and others. Since 2015, we have worked with Leah Ryan’s Fund for Emerging Women Writers to present The Vladimir Grant of the Leah Ryan Fund. This gift of $5,000 is given to a recipient of assistance from the Authors League Fund who is facing a serious medical emergency. The Vladimir Grant is given in honor of Leah Ryan, a playwright, essayist, and woman of letters who died of leukemia at the age of 44 in 2008. Ellis Parker Butler: From the Des Moines Register and the George Grantham Bain Collection, Library of Congress. 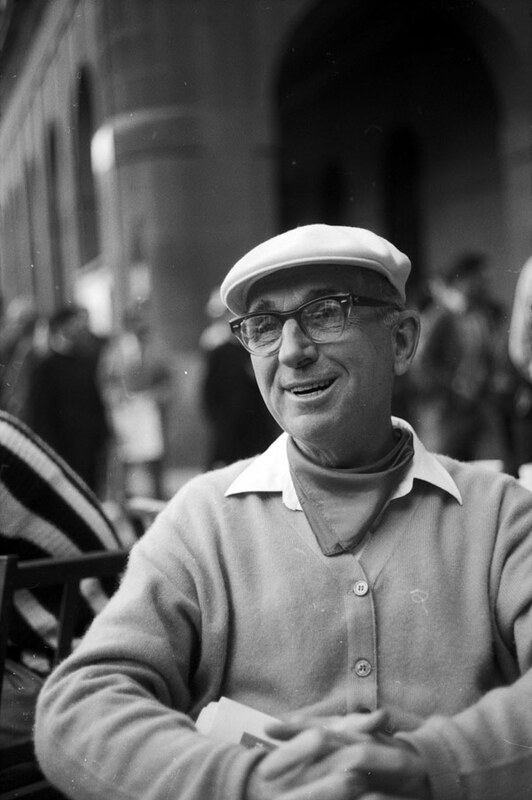 James A. Michener: Courtesy of the University of Northern Colorado Archival Services Department. Kenneth Patchen: Photographer unknown. Courtesy of Jonathan L. Clark.